To meet the long years of experience, we are best in supplying best quality collection of Hanging Clock With Photo Frame that is smart and available in affordable rates. This is beautiful wooden wall clock for amazing style. Being one of the leading organizations in the market, we are instrumental in providing an exclusive range of Hanging Watch With Brass Stand. 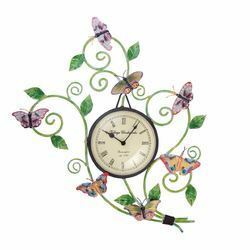 Backed with long years of experience in this realm, we are betrothed in offering Wall Hanging Clock. 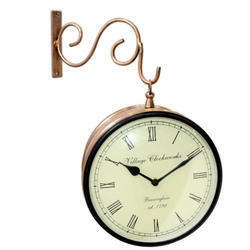 We are engaged in offering a quality approved range of Outdoor Hanging Clock.